The RF external antenna adapter for the Palm Centro is the WA-1037 from wpsantennas.com. After extensive testing wpsantennas.com has released the WA-1037 RF antenna adapter for the Palm Centro for enhancing signal when combined with a high quality wpsantennas.com antenna like the Wilson 301103 magnetic vehicle antenna. wpsantennas.com sells more Wilson 301103 magnetic antennas than any other Wilson dealer worldwide and has been the largest Wilson Electronics dealer for the past 8 years running. wpsantennas.com has tested and released the WA-1025 RF adapter for use with the Huawei EC228. The Huawei EC228 has a small RF port located on the side of the modem allowing the use of an external antenna. For desktop use wpsantennas.com recommends the ARC wireless freedom antenna. Combined with the WA-1025 RF antenna adapter for the Huawei EC228 the ARC freedom antenna offers a 5-15 dB gain. For a laptop or notebook computer antenna for the Huawei EC228 wpsantennas.com recommends the ARC wireless Blade antenna. The ARC wireless blade antenna combined with the WA-1025 antenna adapter for the Huawei EC228 and optional clip pack make the ARC freedom Blade antenna the most functional and portable antenna available. For vehicle use wpsantennas.com recommends the PCTEL Maxrad BMMG824/1900ML195 magnetic portable antenna. The BMMG824/1900ML195 is superior to most other magnetic mount cellular antennas as it uses low loss LMR-195 coax and has a 12’ coax length compared to 9-10 feet on many others. For high gain home reception wpsantennas.com recommends the MB-825 dual band Yagi antenna. This antenna is designed for attic or roof mounting and when installed using low loss LMR-240 or LMR-400 coax is capable of 10-25 dB gains in signal compared to using the card inside the home or building with no external antenna connected. T-Mobile recently launched 3G service in select areas of the United States. Whereas T-Mobile’s EDGE network has operated on the 1900MHz PCS band, their new 3G service operations on the 1700MHz AWS band. Most US carriers (AT&T, Verizon, Sprint, Alltel, etc) operate their 3G service on the traditional cell-phone frequency bands (800/850MHz cellular and/or 1900MHz PCS). Because T-Mobile US 3G operates on the 1700MHz AWS band you will need to ensure that antennas and amplifiers used support 1710-1755MHz (transmit) and 2110-2155MHz (receive). Standard dual-band Cell/PCS only equipment does not support 1700MHz AWS. 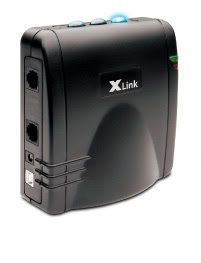 wpsantennas.com has added the Xlink Bluetooth Cellular Gateway for customers who are interested in discontinuing their land-line home phone service yet want the convenience of using their existing corded and cordless phones placed throughout their home. The Xlink Bluetooth Gateway allows the synchronization of up to three bluetooth enabled handsets simultaneously with features like caller ID and call waiting. The Xlink Bluetooth Gateway is ideal for vacation homes and seasonal cabins as it allows a user to synchronize a phone at a location for the entire season or just a weekend without going through the expense and trouble of hooking up a land line phone. Designed primarily for vehicle use the SignalBoost 801230 is an innovative Cellular Signal Booster that enhances Cellular phone and Wireless Data card performance, improving both voice quality and data signal quality in addition to extending service coverage range. The Wilson 801230 is one of the smallest and lightest wireless cellular amplifiers on the market and with its remarkably small size makes the perfect portable solution when traveling. The 801230 can also be used in a hotel or office setting with the optional AC power supply and window antenna mount. The External antenna adapter for the Sierra Wireless Compass 597 Sierra Wireless Compass 597 USB EVDO modem is the wpsantennas.com wa-1033. This RF adapter connects to the external antenna port located on the side of the modem and when attached to an antenna will enhance the send and receive signal. wpsantennas.com offers the ARC wireless freedom desktop antenna and ARC freedom Blade desktop antenna with the optional Laptop antenna/vent clip as an additional accessory for home and office use. For a mobile external antenna for the Compass 597 wpsantennas.com recommends the BMMG824/1900ML195 magnetic portable antenna from PCTEL Maxrad. This antenna is superior to other antennas as it boasts LMR-195 coax in a 12 foot length as opposed to 10 feet of RG-174 found on most other antennas. 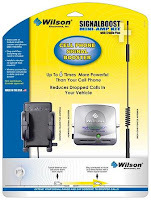 wpsantennas.com is the largest Wilson Cellular dealer in the USA a Master Dealer/Distributor for Antenex, ARC wireless solutions, Cellphone-Mate, Digital Antenna, Laird Technologies and Wireless Extenders/Z-boost. Located in Rochester Minnesota wpsantennas.com has a factory trained staff specializing in RF signal enhancement solutions, a full coax cable assembly division on site for custom solutions and a vast inventory of repeaters, amplifiers, antennas, coax cable and adapters. Founded in 2001 by a former IBM engineer wpsantennas.com has grown to become the leader in custom signal enhancement solutions throughout the world. We have achieved this success by offering quality products and focusing on customer satisfaction.